Dharavi Slum is a Locality in Mumbai, Maharashtra, India. It is considered one of the largest slums in Asia. 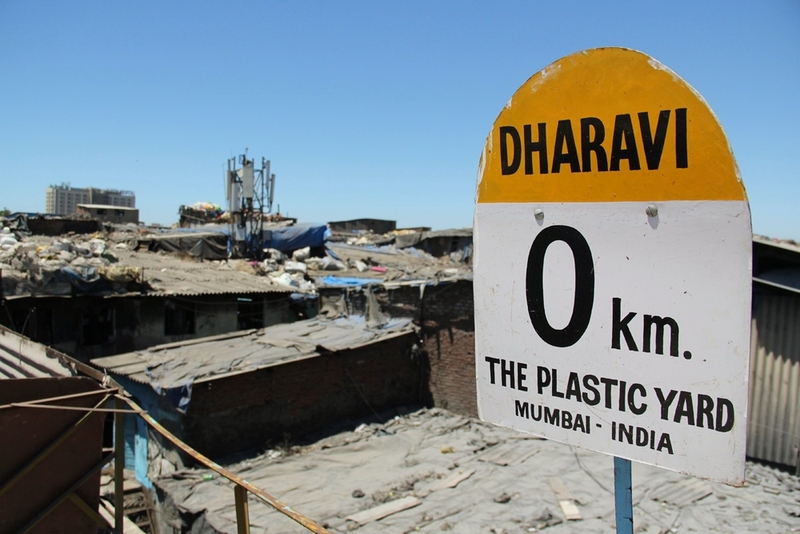 Dharavi has an area of just over 2.1 square kilometres (0.81 sq mi; 520 acres) and a population of about 700,000. With a population density of over 277,136/km2 (717,780/sq mi), Dharavi is one of the most densely populated areas in the world. The Dharavi slum was founded in 1883 during the British colonial era, and grew in part because of an expulsion of factories and residents from the peninsular city centre by the colonial government, and from the migration of poor rural Indians into urban Mumbai (then called Bombay). For this reason, Dharavi is currently a highly multi-religious, multi-ethnic, and diverse settlement.Dharavi has an active informal economy in which numerous household enterprises employ many of the slum residents– leather, textiles and pottery products are among the goods made inside Dharavi. The total annual turnover has been estimated at over US$1 billion. On our unique Dharavi Slum Tours Mumbai, the visitors travel on foot across the slums of Dharavi. This slum area in Mumbai is the heart of various small-scale industries in the city. En-route through one of the largest slums in Asia, travelers experience a wide range of these activities such as recycling, embroidery, bakery, pottery-making, soap factory, poppadom-making, leather tanning and many more. Apart from the business aspect of Dharavi, visitors get to witness a secular nation with a spirit of survival through the lives of these slum dwellers. Citizens from all over India dwell in Dharavi and yet create a sense of unity. Through the narrow alleys of the Dharavi slum one can feel their adventurous spirit bursting open while enlightening themselves of a world beyond the cozy cottages. This tour is a quarter day on-foot experience, abolishing all preconceived notions of this large slum area in Mumbai. Dharavi is much more than a historic area of Mumbai's poverty. Dharavi's industries get an annual turnover of approximately US$ 665 million and this tour shows how most of that revenue is created, through a wide range of these activities: recycling, pottery-making, embroidery, bakery, soap factory, leather tanning, poppadom-making and many more. Most of these things are created innovatively, in very small spaces! Another aspect that the visitors witness is the diversity in religion, custom and belief. However a sense of unity is definitely experienced, even from an outsider's point of view. When passing through the residential spaces, you will most certainly feel the sense of community and spirit that exists in this slum area in Mumbai. The diversity is apparent in the temples, mosques and churches that stand side by side. An unforgettable view of endless tin hutments accommodating so many lives along with sounds of various machines and animals. It is like the architecture was designed to leave you breathless. Private Tour: 4,000 Rupees.You can bring a maximum of six people on your private tour. RECYCLING AREA: Everything old, from plastics to metal, come from all over to be recycled in Dharavi. See the recycling plants in which separation and melting of the wastes takes place. BAKERY: Khari Biscuits hot and fresh from the source, available in every kind and served on a platter! POPADDOM MAKING: Watch the Dharavi women making poppadoms, the essential appetizer before every Indian meal. It is done by drying them on wooden baskets, turned upside-down. RESIDENTIAL HOUSES: Bask in the creativity of the humble dwellings of the incredible people of Dharavi. KUMBHARWADA POTTERY COLONY: Watch artisans create all types of pots out of unfired, sun dried clay and even learn a thing or two.